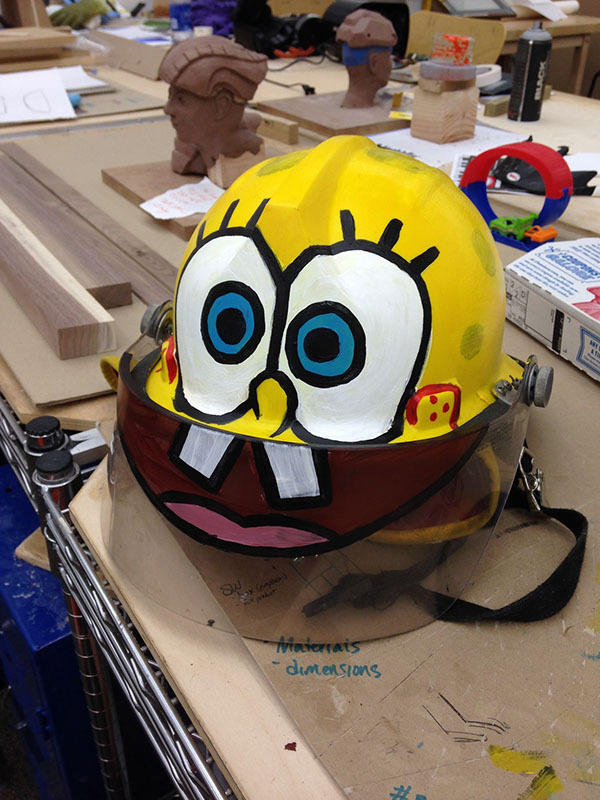 I was asked by my friend/teammate Brittani Scharlau to paint a Spongebob-theme on a firefighter helmet she provided me as a surprise gift for the fire chief of Alexander, NY. 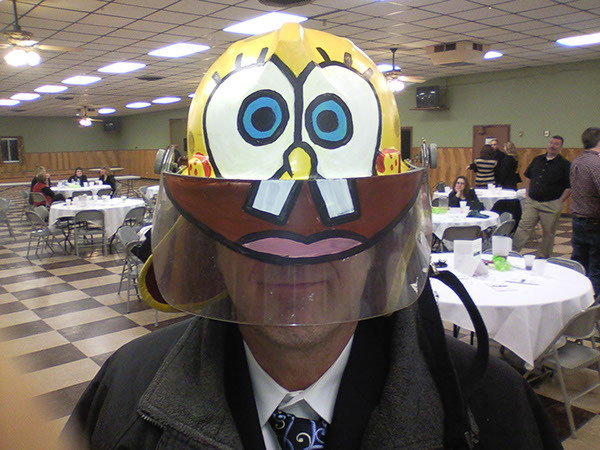 Chief Marshall Merle debuts the helmet. 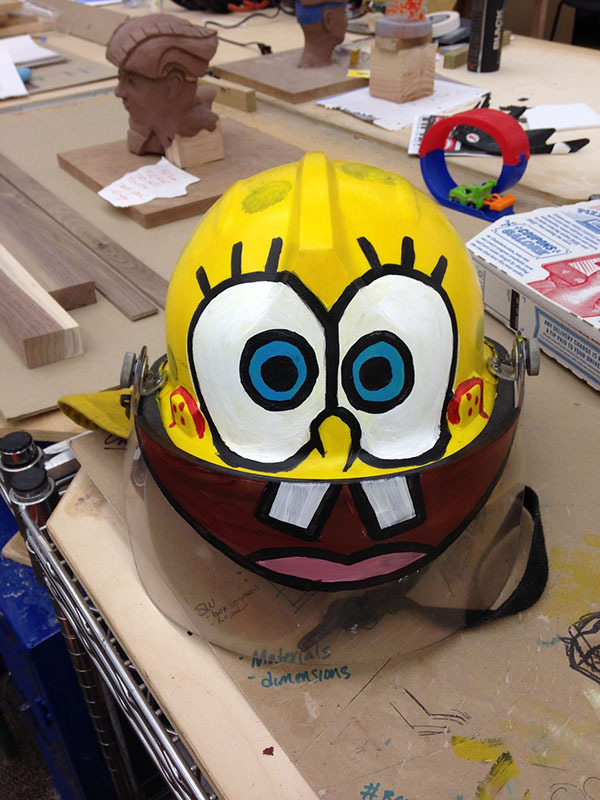 A Spongebob-themed helmet I painted as a side project for a friend.